Easily overlooked, even stonework benefits from a little care and attention from time to time. At Diamond Garden Care we’ll soon have your patios, paths and driveways looking impressive. Pressure washing is perfect for getting rid of all the residue that builds up on the surface of brick and stone, and can transform a patio or driveway that looks ready to be replaced back to its former glory. And a good clean several times a year will ensure that you, your family, friends and visitors aren’t at risk of accident by slipping. All we need is access to a water supply; we use our own professional power washer. The cleaning process will restore stone and brickwork to its original state, plus remove any moss growing in the cracks. We can also clean walls, steps, gates, pots etc. 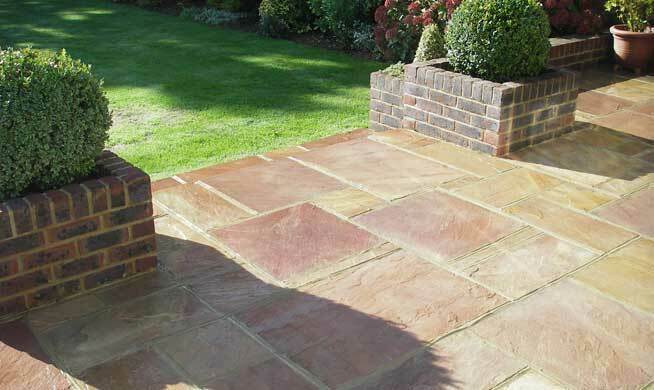 Our services also extend to re-sanding and re-pointing which adds the finishing touch to your patio, path or driveway, and also helps to reduce the chance of weeds growing in between bricks, stones or paving slabs. Does your patio or driveway need a good clean? Contact your local Diamond Garden Care team for a FREE no-obligation quote today.